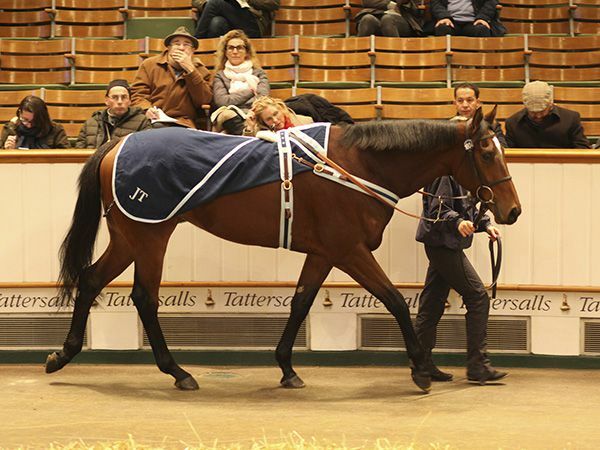 The Tattersalls December Mare Sale got off to a strong start with the Group 1 winning filly INTRICATELY selling for 1,700,000 guineas. 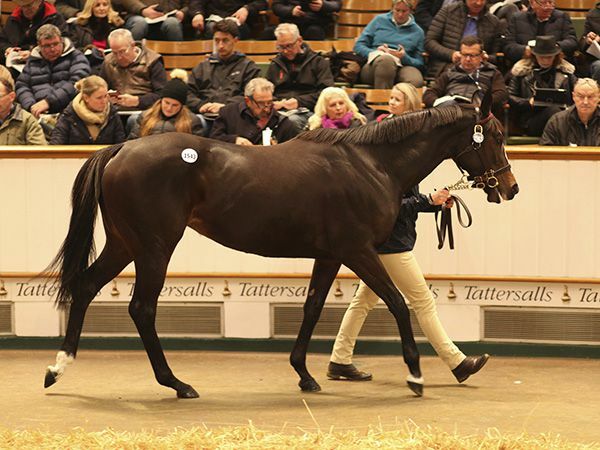 The opening day saw a total of 193 lots sell for 15,474,700 guineas, at an average of 80,180 guineas and a median of 36,000 guineas. The star attraction on the opening day was the Group 1 Moyglare Stakes winner INTRICATELY and bidding on the daughter of FASTNET ROCK was a truly International affair. Those who tried to secure the three-year-old filly included buyers from Australia, Japan, South Africa and the USA, but it was John & Jake Warren who secured the former Joseph O’Brien trained filly for 1,700,000 guineas. INTRICATELY was consigned by The Castlebridge Consignment and is out of the GALILEO mare INNER REALM, a half-sister to the seven-time Group 1 winner ROCK OF GIBRALTAR. As well as her Moyglare Stakes win, she also ran fourth in the Group 1 Tattersalls Irish 1,000 Guineas for her owners John Murrell and his wife Chantal Regalado-Gonzalez. The second highest price on the opening day was 775,000 guineas given by Barronstown Stud’s David Nagle for the five-year-old mare PRIZE EXHIBIT. The daughter of SHOWCASING scored victories in the Grade 2 San Clemente Handicap and Grade 2 Monrovia Stakes as well as being placed in the Grade 1 Del Mar Oaks and was secured by Nagle after he saw off John McCormack, bidding on behalf of Japanese interests. The daughter of the INCHINOR mare ROODEYE was consigned by Jamie Railton and provided her owner Deron Pearson with a great result. Successful purchaser Nagle commented; "She is a beauty, she was a great racemare, we just need to be lucky now. "She is a complete outcross and will go to Churchill." The classy three-year-old filly URBAN FOX, who was placed in the Group 1 Fillies’ Mile last year for trainer James Tate was secured by South African interests for 425,000 guineas and is set to remain in training. She has been bought by the newly established Barnane Stud in County Tipperary, an Irish satellite farm for the South African-based Highlands Farm, which was bought by Wayne Kieswetter in January. Manager Patrick Wynn-Jones said: "She remains in training, no trainer has been decided upon yet. She will be a bit of fun for the lads and then we'll see about future plans." 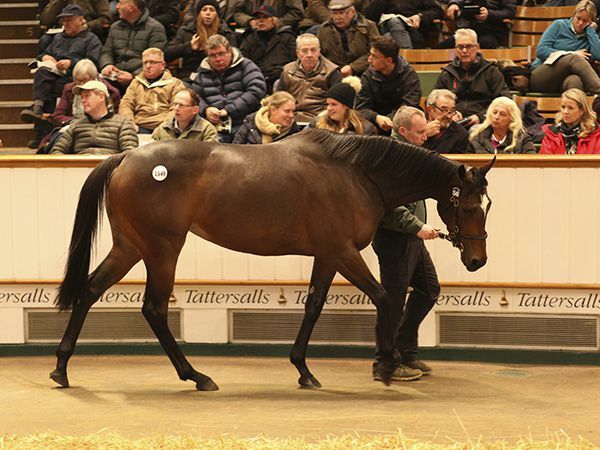 Japanese interests purchased the next two lots which both realised 400,000 guineas. The first of those was the Group 3 winner TOURNY who was knocked down to John McCormack on behalf of the Rokuroda family’s Taihei Farm. The daughter of COUNTRY REEL won the Group 3 Prix de Cabourg and was third in the Group 1 Prix Morny for trainer Pascal Bary, and was offered here with a covering by sire-sensation FRANKEL whose Japanese runners include the Japanese Oaks winner SOUL STIRRING. “She is a lovely mare. She is young and has good physical attributes and is in foal to Frankel. She’s carrying a colt so the return should come hopefully for them in Japan. 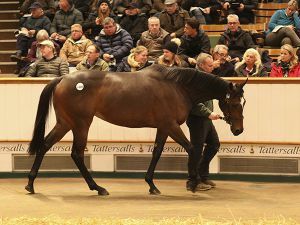 The second lot to realise 400,000 guineas was the Mick Channon-trained four-year-old filly HARLEQUEEN who was secured by Katsumi Yoshida’s Northern Farm. The daughter of CANFORD CLIFFS was placed in both the English and Irish Oaks and was knocked down to Northern Farm’s farm manager Dr Fumihiko Nakajima. 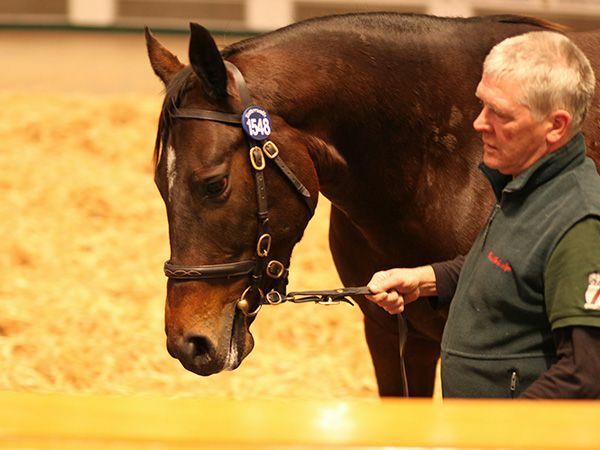 The Tattersalls December Mare Sale continues at 9.30am on Tuesday, December 5th.